Causes, dimensions, actors and dynamics of violent conflicts; repercussions of external interventions in conflict societies; political economy of the military and non-state armed groups; political and economic transformation processes; dynamics of securing livelihoods. 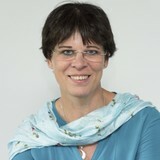 Elke studied Political Science at the Universities of Münster and Hamburg and did her PhD in Economic and Social Science and her state doctorate (Habilitation) in Political Science at the University of Bremen. She taught at the Universities of Applied Business Languages (Arabic) and International Management and the University of Bremen from 1993 to 2010, where her most recent position had been that of Senior Researcher at the Institute for Intercultural and International Studies (INIIS). Elke started her academic career with studies on peasant livelihoods and the socio-economic impact of large-scale agribusiness on the local society in Africa. She further engaged herself in research on rural outmigration and repercussions on the people staying behind, on political and economic transformation in Africa after the end of the Cold War, on peace processes in regions with long-term civil war and politics of interventions. More recently, her research has dealt with social orders forming around large-scale extractive industry in the context of violent conflict and the political economy of the military and other armed groups in northern Africa and the Middle East. Currently, her main research fields are forced migration and conflict-sensitive employment strategies in fragile and conflict-affected settings. Grawert, E. (2019, March). Between aid dependence, neighbourhood solidarity and the EU-Jordan Compact. Livelihood analysis of Syrian refugees in Greater Amman (BICC Working Paper series No. 4/2019). Bonn: BICC.